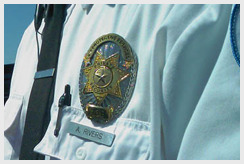 VIP Protective Services Inc. was established in Richmond California to provide professional security patrol and guard services for small, mid-size and large companies in the greater Bay Area. Drawing on our experience and resources, we strive to provide our clients with the best possible security services in an efficient, effective and dependable manner and with the greatest possible attention to the details that support their success and their satisfaction with our service. VIP Protective Services was started when the founders discovered an opportunity to make use of their extensive skills and experience in Event and Concert security. At the same time, this opportunity afforded them the means to meet several specific personal goals, including providing employment opportunities for their community and providing qualified security personnel to businesses at an affordable cost. In the field of security it is necessary to have a command presence. Command presence is judged, in part, by the manner in which a security officer wears their uniform, as well as by their personal appearance. Therefore, a neat and well-groomed appearance is fundamental in building the spirit that is essential to being an effective security officer. A vital ingredient of our strength and security effectiveness is the pride and self-discipline that our security officers bring to their service through a conservative security image. 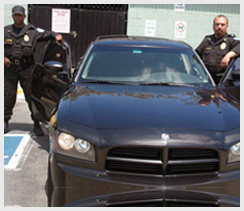 It is the responsibility of VIP Protective Services to ensure that our security officers present a neat and disciplined appearance at all times while on duty.